Getting to experience the Voltron: Legendary Defender panel at SDCC 2017 featuring executive producer Joaquim Dos Santos, co-producer Lauren Montgomery, Bex Taylor-Klaus (the voice of Pidge) and Tyler Levine (the voice of Hunk) was a dream come true. 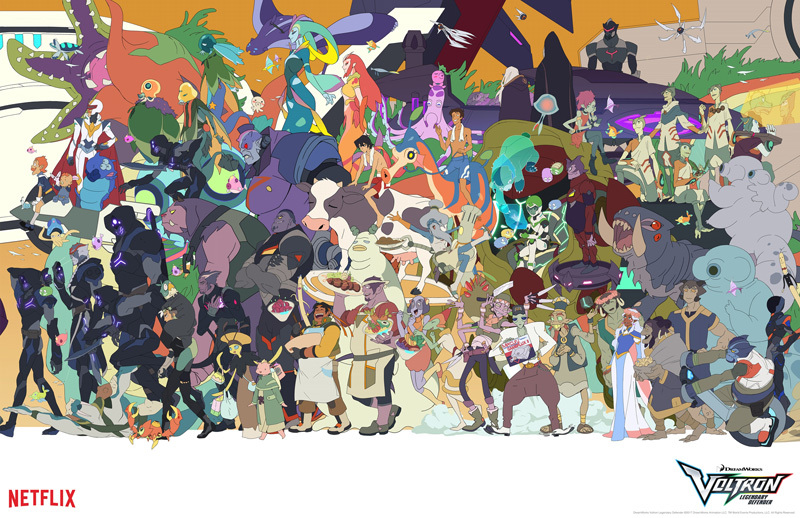 I grew up watching the original Voltron series and getting to see what's in store next and hear the passion of the people involved was enough to instantly transport me back to my childhood and reignite my love for the franchise. Just a heads up, if you haven't finished season 2 yet there may be a spoiler ahead. The series finale of season two entitled ‘Blackout’ ended with the Paladins joining forces to vanquish Emperor Zarkon but at what cost? During the melee Shiro disappears and the group is forced to come to terms with where they are headed and who will take control of the Black Lion’s helm. Will season 3 answers all these questions? According to the executive producer the answer is “yes”. During the panel, fans were treated to a screening of episode 1 of season 3 showing where they are headed and it did not disappoint. In this season, we will see Zarkon’s son, Prince Lotor (voiced by A.J. LoCasio) rising to power in his father’s absence. Surrounded by an elite group of Galra commanders, he is shown to be a charismatic leader but his intentions don’t look to fall in line with Zarkon. Meanwhile being short one lion, the remaining paladins continue their sweep of the system with the elite group, the Blade of Mamora. Being Galra, the newly freed denizens are a little reluctant to trust their saviors. 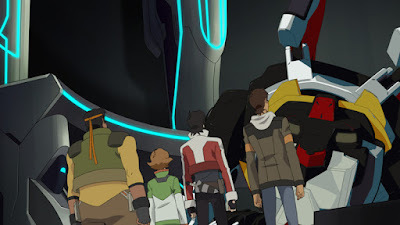 This season looks very interesting with Hunk coming in to his own as a pilot, Pidge continuing the search for her family, a team lacking a leader and everyone questioning who will be the successor to Shiro. Season 3 will hit Netflix real soon with 7 episodes arriving on August 4th but fear not people, it will be quickly followed by season 4 in October with an additional 6 episodes. The first two seasons are currently streaming on Netflix.